Hey Productivity users. This is Mohammed Anzil back again with another opportunity to get the Todoist premium for free. This time it is for 3 months. Todoist is a powerful task manager for personal or collaborative productivity for people who want to accomplish great things in less time, with less effort. Yes, you will get 3 Months of Todoist Premium for Free. It’s not just for a single person or limited users, it is free for everyone. You should subscribe to the premium version of Todoist if you want the basic features like push notification and reminders. If you would like to try Todoist premium for free for a whopping 3 months, this is the right time. 1. Please mention me on Twitter to get your Todoist Premium upgrade. That’s it. 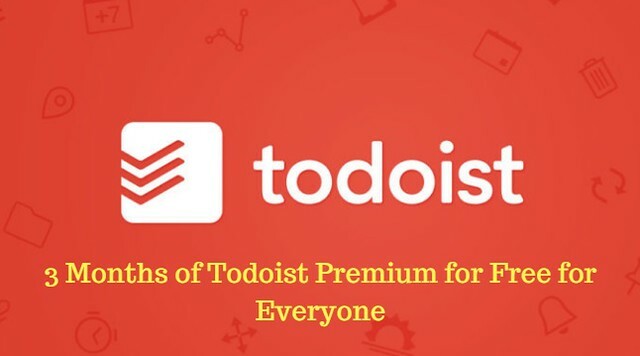 Once you get the code from me and You have successfully redeemed the code, your account will be upgraded to the premium version of Todoist for 3 months.